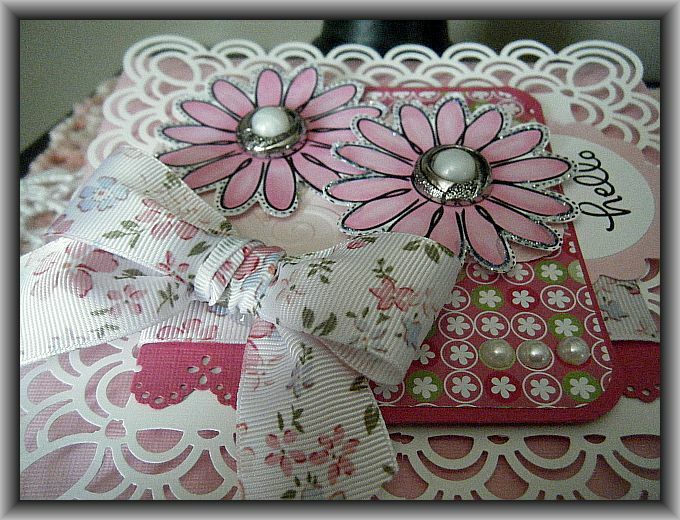 I used the Martha stewart Eyelet Lace Punch around the Page Punch set and used my large and small daisy punches for the flower. I found the fun rhinestone design in our local dollar store. Hi Again! 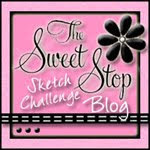 I have been peeking around at different challenge blogs and I came across The Sweet Stop blog http://sweetstopsketches.blogspot.com/2011/07/sss116-july-9.html and they had a fun Sketch Challenge that I thought I would have a go at. 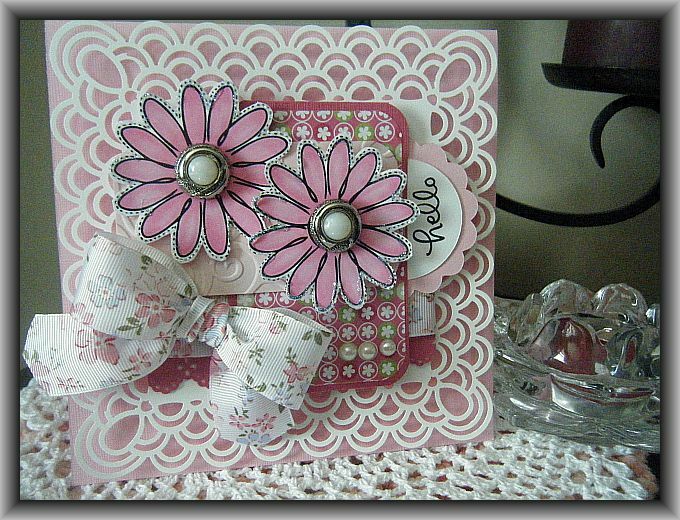 This is only the second time I have ventured outside of SplitCoast Stampers and entered into a challenge. 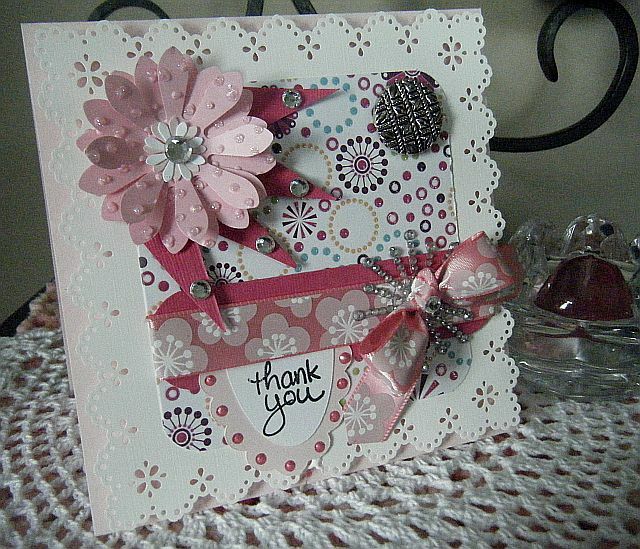 The last one that I entered seemed to be well received so I thought I would give it another try, it is so much fun! 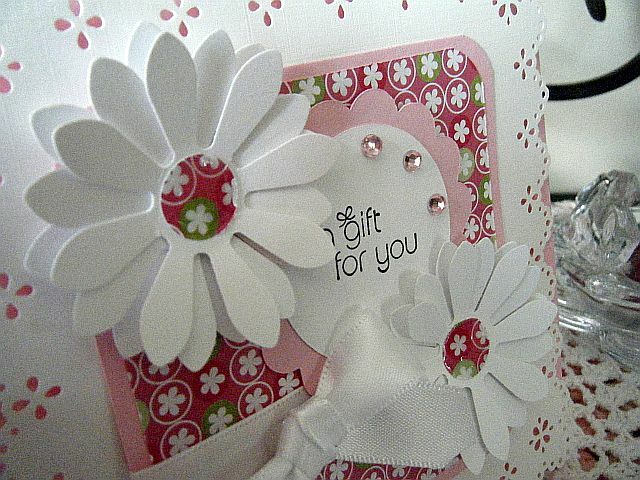 There are seven layers on this card…. Eight if you count the buttons LOL! I couldn’t have said it better myself! LOL! 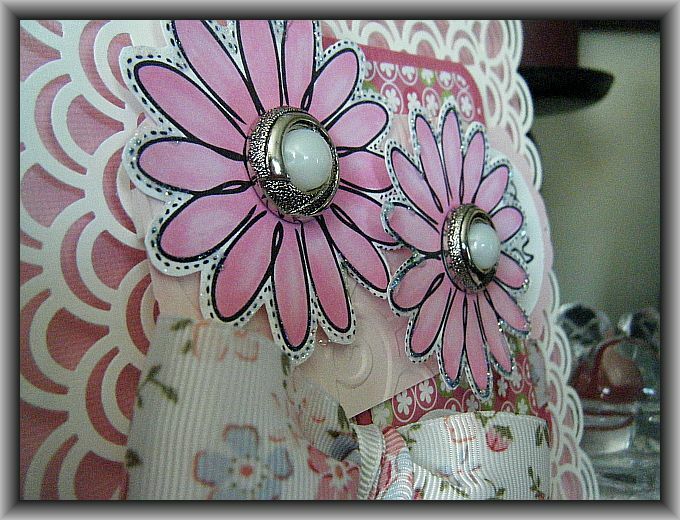 I am still playing around with this new Martha Stewart Eyelet Lace Punch around the page punch. 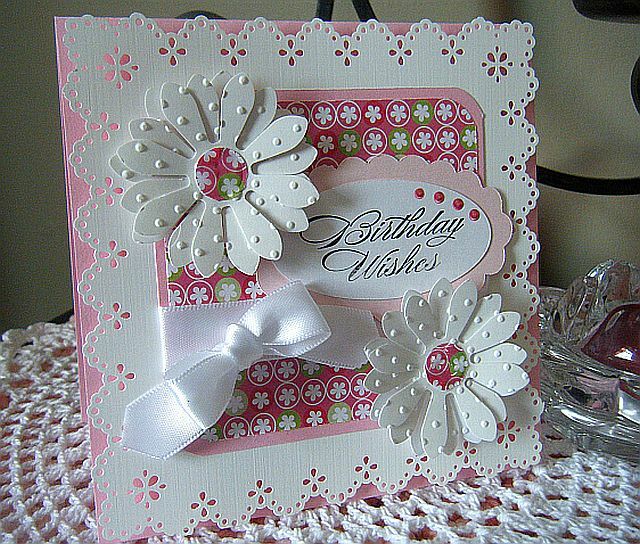 I thought I would make a stash of pretty pink birthday cards with it. 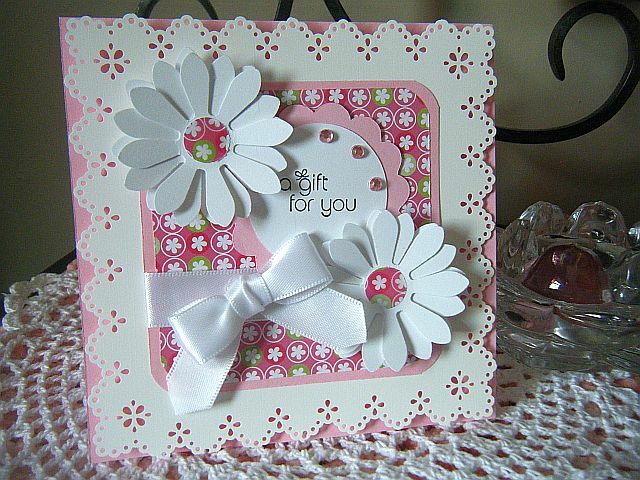 Here’s another one where I embossed the daisy’s…..